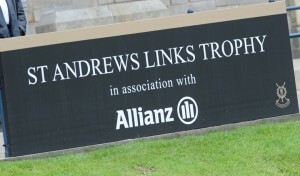 The golfing season might be winding down but it has been a busy few weeks for the St Andrews Links Greenkeeping team. 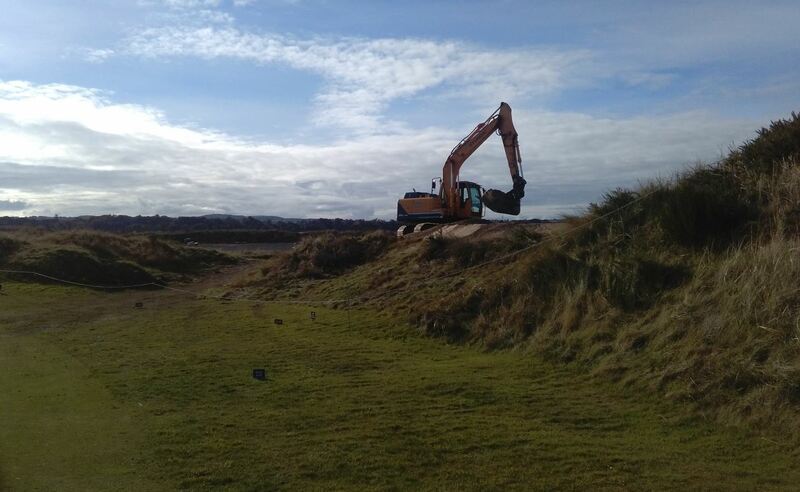 With the help from golf construction specialists SOL Golf, there have been two projects running side by side on the Links. 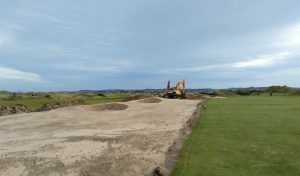 We are excavating an area of dune to accommodate a new toilet facility and also creating a section of new dune land to screen the TV compound area used during The Open and Alfred Dunhill Links Championship. The view from the 15th green of the Jubilee Course had been earmarked for improvement for some time, with our recycling area clearly visible. This area was also significantly expanded ahead of last year’s Open Championship to accommodate a first class TV facility. 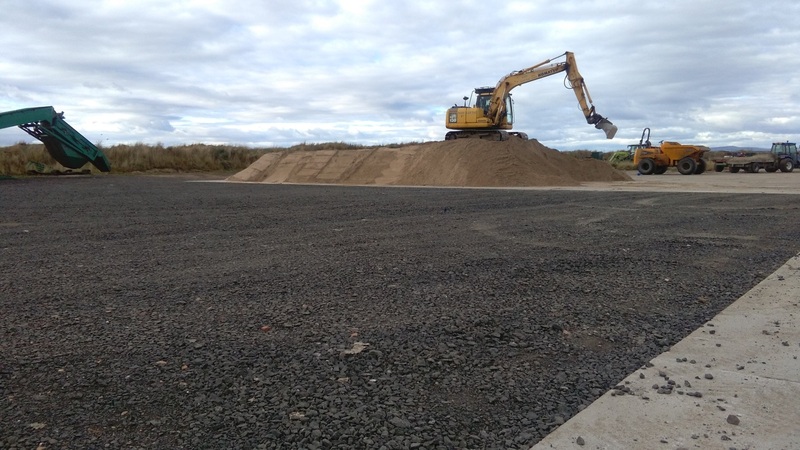 It was always our intention to screen this area but we needed a vast amount of sandy material to ensure any work would be in keeping with the surroundings. 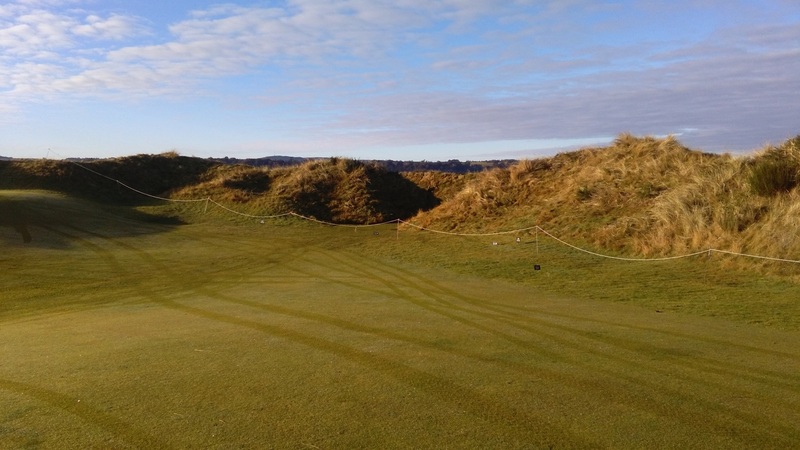 Coincidentally, a need for more toilet facilities on our courses was highlighted and an area of dune to the right of the 15th tee was selected to site the new facility. Excavation of this dune gave us the sand required to screen the TV compound. 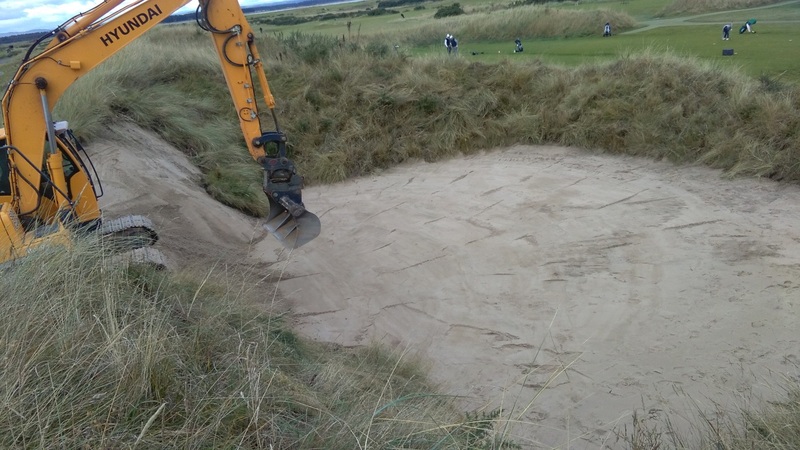 The sand was transported from the toilet site by Links staff and stockpiled for later use. 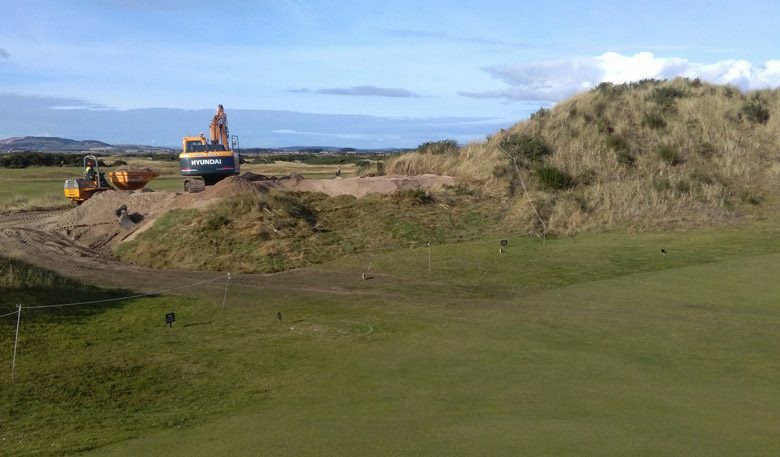 Blocks of dune grasses were also saved to be used to turf the new dune at the 15th green. 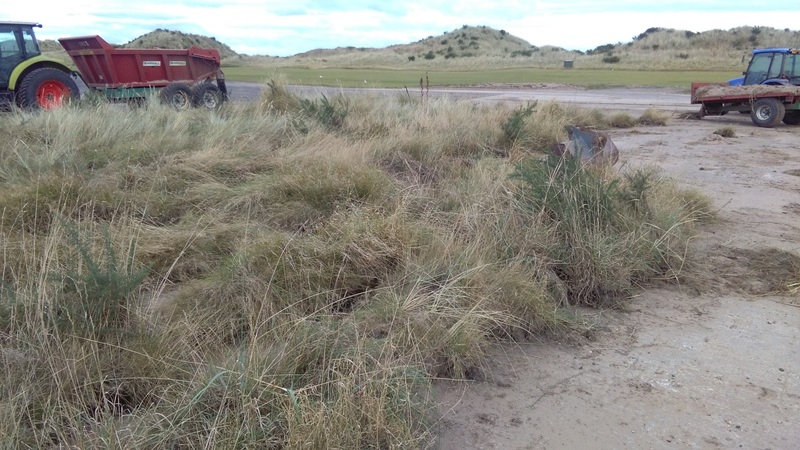 The natural vegetation on the new dune site was also lifted and saved. 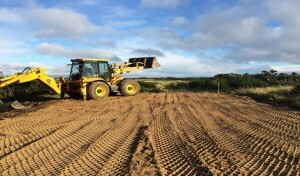 The sand was driven to the site and shaped expertly by SOL Golf, they closely followed a design created by renowned golf course architect Martin Hawtree. We’re very happy with the finished work with the dunes blending seamlessly into the natural environment. Quite the transformation!